We are like your trusted confidant. Your Trusted Advisor! With deep roots here in the Conejo Valley since 1969, we are not your typical local agency in that we like to take time to learn about you. Where you came from, where you are going. Life is short and we fully appreciate the struggles you've overcome to get where you are today – even if you're just starting out and have many hills to overcome. Our promise is to be your "Trusted Advisor" along the way. To help guide you along the way with our experience and advice. Our job as a Trusted Advisor, is to be certain that all you have worked so hard to achieve and dream for in the future is protected. At every point of your life journey, we're with you. Here are just are a few areas we can advise and assist you with. The team at Thousand Oaks Insurance is always available to answer questions no matter how big or small. Great customer service. Your agency has always been so quick to respond and has provided me and my family with great and reasonably priced insurance for the past several years! 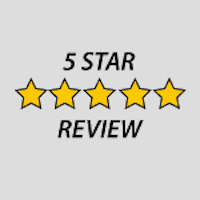 I will continue to recommend them to everyone! We loved how the process of switching insurance companies was made so easy. Additionally, we saved a significant amount of money yearly. We felt that all our questions were answered with a thorough response and within a timely manner). We deeply appreciate the care that has and continues to be shown to us from Thousand Oaks Insurance Agency. Outstanding customer oriented service and attention to detail. Patrick and his associates really care about the customer and their family. Insurance isn't always fun, but it's important that you consult with a "Trusted Advisor" to guide you. Our blog covers a lot of important topics that you need to know about! When was the last time you had an experienced advisor review all of your insurance protection and rate? We can work on your behalf to compare your current coverage with a wide range of insurance companies. Experienced sound advice, combined with an established agency who represents you. Others may focus on price. Although important, it’s not the ultimate goal… proper protection is! And that is our focus. We are committed to developing the best solution possible to protect what you have built. We deliver maximum value and expert strategies that safeguard what matters most. We worry so you don’t have to.